A few weeks ago we announced some improvements to the Usage Dashboard and let you know that we would be working on updates to the CSV download as well. We’re happy to announce that the changes to export function have been finished and you can now benefit from seeing an even more granular dataset in the CSV file. 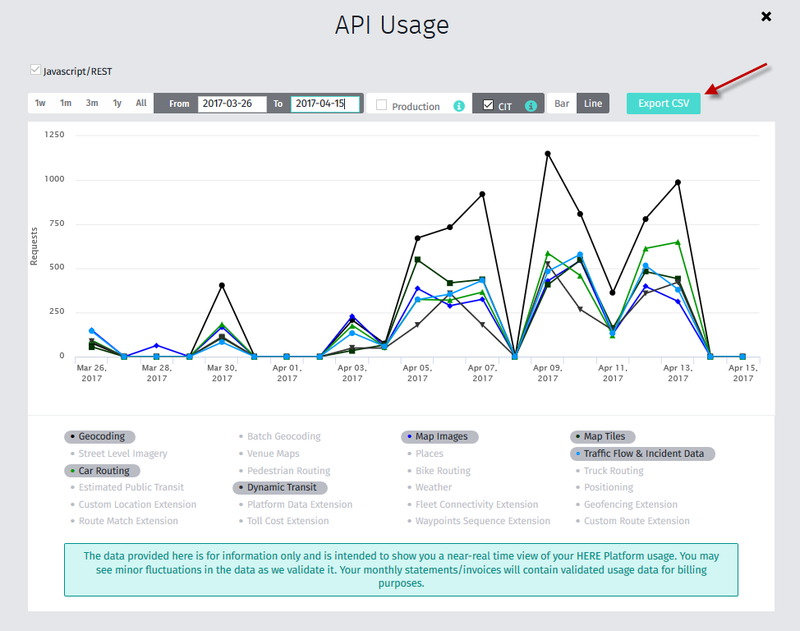 You can now see specific usage data per App ID and category, and then split by each subcategory, e.g., geocoding total plus subtotals for forward, reverse, and multi-reverse geocoding.